William the Conqueror was one of the most successful and ruthless military commanders of the medieval era. Although he won the Crown of England with his victory at The Battle of Hastings it took him rather longer to truly conquer the Kingdom. 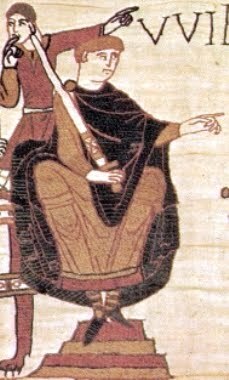 During the winter of 1069/70 he headed North in response to the threat of insurrection with the support of King Sven of Denmark who had arrived with some 240 ships and took the city of York on 20 September 1069. William's response has come down to us as the "Harrying of the North". He utterly devastated the surrounding lands, burnt the crops and destroyed all food sources for the rapidly approaching winter. This strategy isolated the Danes and cut them off from any supplies which might have come from the countryside. The Danes came to terms and left but the impact on the country as far north as Northumbria was terrible. Hunger and famine was everywhere and killed more people than those put to death by the sword. Basically William targeted the rural population. He wasn't fighting an army or attacking medieval castles but destroying the countryside and denying food and sustenance to the people. This wasn't the first or indeed the last time that such tactics were used in medieval times. Terrible though they were their impact was undeniable. "By sword and Fire". Sean McGlynn. Pub Phoenix.